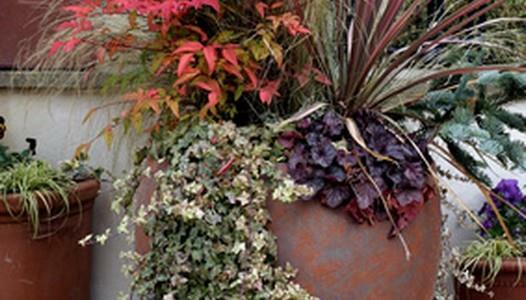 Add style to your yard using one of these free planter plans. This planter is designed to be pushed against a wall, with the flowers being viewed from the front. 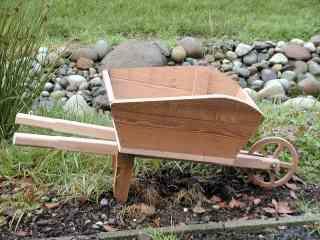 Simple plans and instructions to make a wheelbarrow planter. This wheelbarrow is not only ornamental but is also functional and can be wheeled about from place to place. 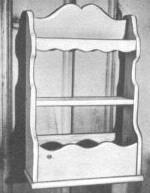 This planter serves both as a small display shelf for curios and a container for 3-1/2 inch diameter potted plants. 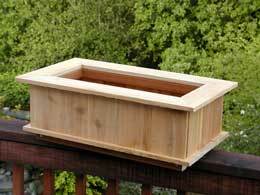 These planters are easy to build and can be made from scrap wood. 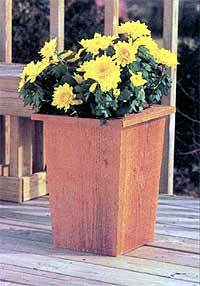 This planter is designed to fit a long narrow plastic planter and go over a 2in. X 6in. deck rail. It seems like space is always a problem when planting a garden. Well how about going vertical? This nifty strawberry planter does just that. 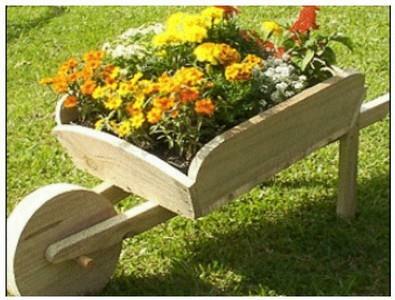 A wheelbarrow planter is just what you need in your yard/garden. 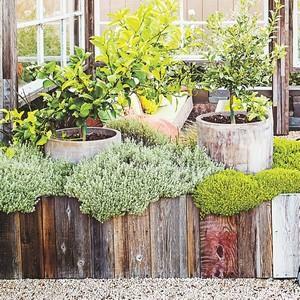 Use these step-by-step plans to build your movable and adorable planter. 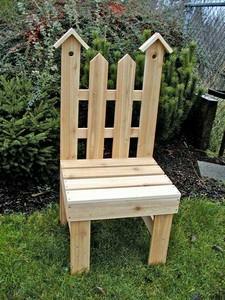 This is a simple project that will look great in your garden. 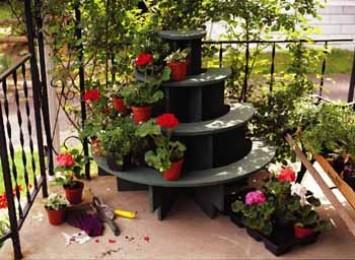 The garden chair plant stand is to place potted plants on it. Even a vine plant near the back to climb up the back rest would be nice. 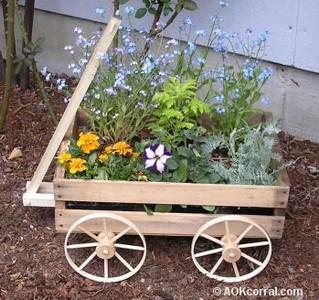 Follow these step-by-step directions to make your own wagon planter. Looks great on your porch or patio. 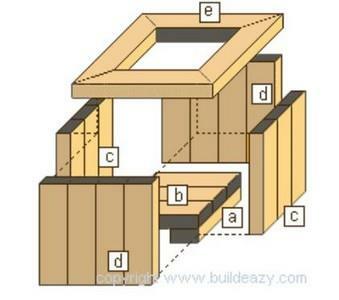 Use these step-by-step instructions to build your own garden planter box. The finished planter is 48" by 24" by about 27" tall. 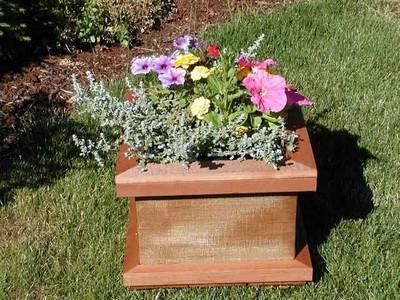 This planter box is both a simple and inexpensive project to undertake. 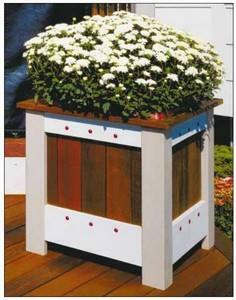 A lightweight, easy to move planter for your patio or deck. 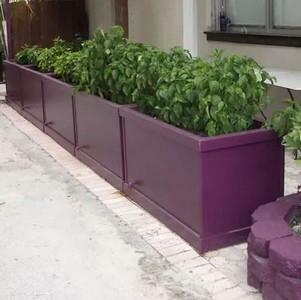 This planter box can be modified to fit a wide range of applications. 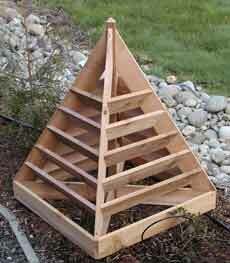 This design is perfect for using the left over wood from a wooden deck project. A window box planter, like the one featured in this project, is a great way to add detail to a home's exterior. A small amount of plywood and an afternoon are all you need to build it. 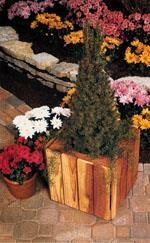 Using cedar fence scraps you can make a cedar planter box in no time. Looks great and almost cost you nothing. As the light changes the mesh planter changes appearance. Build your bronze mesh planter, fill it up with soil/dirt, plant some flowers and watch them grow. With a raised planter right outside the kitchen door, you can have a continual supply of salad greens nearly year-round. 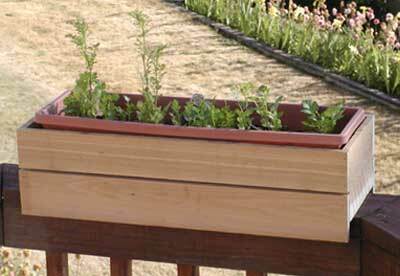 Enjoy easy access to fresh greens with this easy-to-build raised planter box. Tall skinny table made just for a plant.